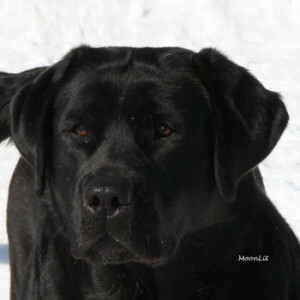 Located 40 minutes from Lake Erie and an hour from beautiful Niagara Falls, MoonLit Labradors focuses on stable and flawless Labrador temperaments, excellent health and soundness, with beautiful and graceful conformation. Our Labradors are bred in three colors: chocolate, black, and yellow. Please see our Color Myth Page. As the generations of MoonLit dogs continue, we see our high standards benefit from our hard work and diligence. Our dogs include finished champions, those working toward their championship, and upcoming prospects for our next generation of champions. All MoonLit litters are produced for ourselves in order to continue the lines, genetics, and generations of finished show champions, those working toward their show championship, and upcoming show prospects. 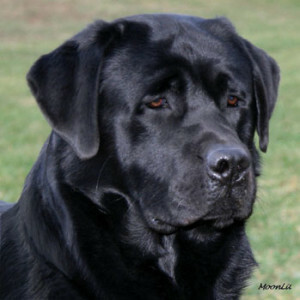 Our Labradors come in all 3 recognized colors by the AKC; black, yellow and chocolate. (Please visit our Color Myth tab for information on any other shade/color advertised by unscrupulous “breeders.”) Our Labradors have been screened for Hip/Elbow Dysplasia and have clearances in the following: Eyes, Cardiac Echo Doppler, PRA (Progressive Retinal Atrophy), EIC (Exercise Induced Collapse), CNM (Centronuclear Mypopathy), and HNPK (Hereditary Nasal Parakeratosis). All of our dogs are also tested and confirmed to be clear of the D Gene. This gene is the color gene that produces “silver” and other colors not in Labrador Standard. A True Labrador Retriever should be D Gene Clear. Any puppies in a litter not kept as “show prospects” will be placed into working and companion homes. These puppies are placed on a Limited Registration with a strict spay/neuter contract. 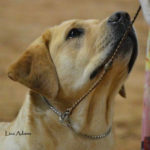 With this registration you will be able to compete in agility, obedience, and hunting trials with your versatile Labrador. All puppies come with their AKC Registration, Micro Chip, Health Warranties, copies of sire and dam clearances, 1st puppy booster, worming, and much more. We do not ship puppies.